Due to the growth in the demand of perishables and pharmaceuticals products, Changi Airport in Singapore has seen a boom in cargo increase in the first 10 months in 2016. This is good news for the Offshore Back Office Solutions industry especially those who specialize in freight and shipping. The improvement is on the back of growth in import and transhipment volumes and, segment wise, perishables and pharmaceuticals. According to Changi officials, pharmaceutical traffic increased by 19% year on year over the first nine months while perishables grew by 11%. The rise in pharmaceutical traffic is down to a greater awareness about the needs of pharma shippers and also because the airport has been focusing on this growing sector. Expected to be operational by the end of the year, Changi will be the first ground handler in the world to own such an airside facility, with automated processes for single scanning and sorting to save cargo processing time and increase efficiency. One of Singapore’s major selling points is its position at the center of several trade lanes, making it ideal for transhipment. 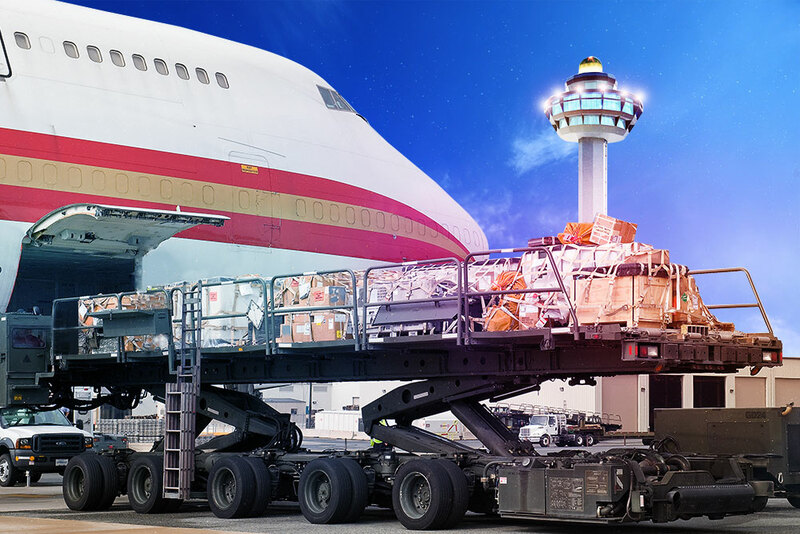 However, more and more airports are promoting themselves as transhipment hubs these days but Changi which is located in a very strategic location at the cross roads of major trade lanes in the region shows an advantage. Changi is connected to fast growing countries like China and India and is connected to more than 30 cities in China and 14 cities in India, which is much better than any other Southeast Asian country. Intra-Asia traffic is one of the bright spots and is in a good position to be the transhipment hub. Changi Airfreight Centre also offers a 24/7 free trade zone with a total capacity of 3m tonnes, and is in the process of adding extra aircraft stands. While the amount of cargo it processes on freighter aircraft has come down in recent year, in line with the growth of passenger services, the airport has introduced five new freighter operators over the last 12 months. Today around a third of traffic is handled by freighters such as AirBridgeCargo Airlines (ABC) operating B747-8Fs, My Indo Airlines with Boeing 737Fs, Neptune Air with B737Fs, K-Mile Air with B737Fs and Silk Way West Airlines’ B747-8Fs. The airport has also been offering freighter operators discounts of as much as 30% on landing fees and next year Changi will consider whether to extend this for another 12 months, depending on market conditions. Finally, to support the long-term growth of Singapore’s cargo and logistics sectors, dedicated facilities for airfreight and air express services will be developed as part of Changi East’s development. Along with this will come a boom in Back Office Offshoring Solutions to meet the demands of the growing industry. To be ready by the mid-2020s, the Changi East project involves the development of a 1,080 hectare site with a new mega terminal, Terminal 5, the extension of the third runway which will be for civilian traffic, as well as industrial facilities, related infrastructure and transport links.